Get Supreme Quality Pirate Costumes like this ‘Hook,’ the Movie, Dustin Hoffman Pirate Costume. You would be surprised how many famous Pirate Characters we have in Stock. Put together your best ever Pirate Character Costume from any or the most popular Historical Pirates or Movie Character Pirates. 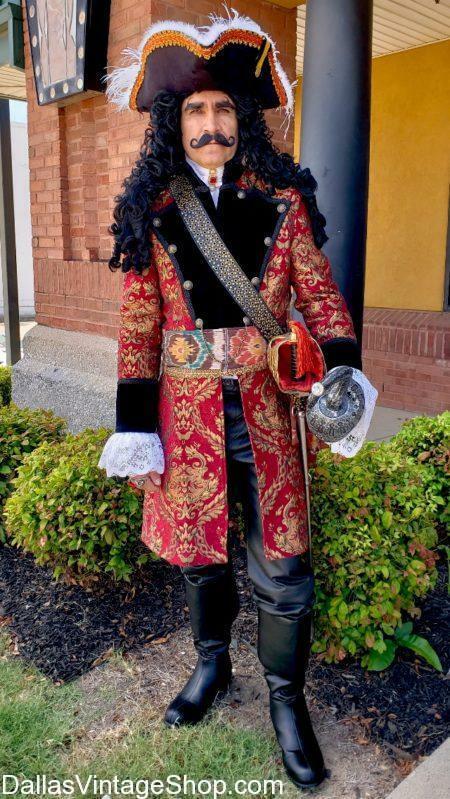 Here are just a few of the most amazing Pirate Costumes you will find: Jack Sparrow the Johnny Depp Costumes, Black Sails Captain Vane & other Characters, Historical Pirate Period Costumes, Captain Morgan Iconic or TV Commercial Costume and so many others. Get Complete Pirate Outfits or just the pieces you need.